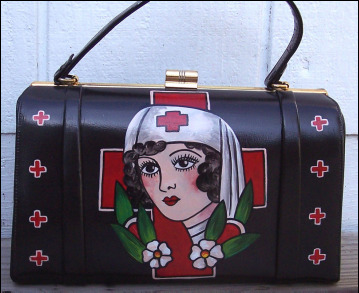 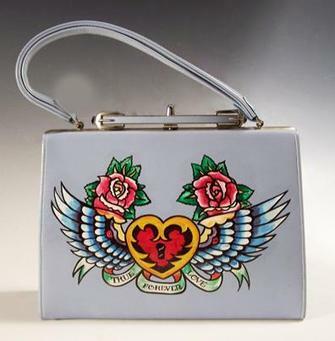 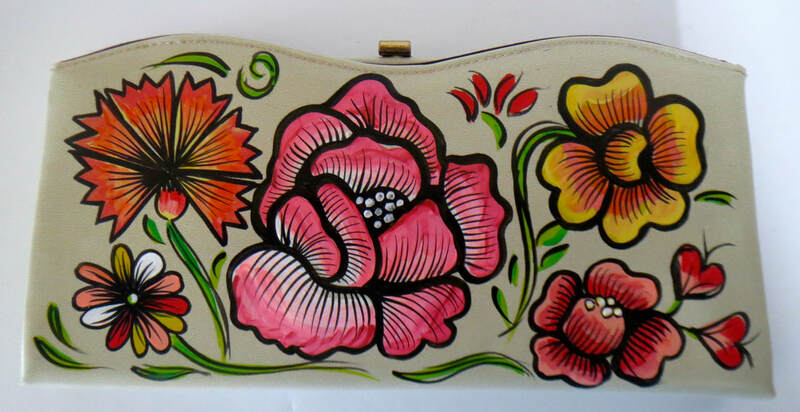 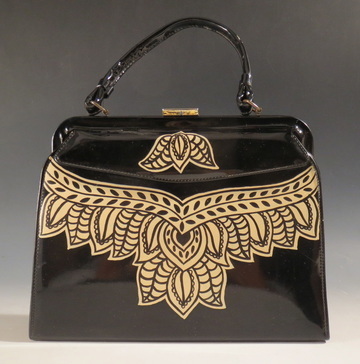 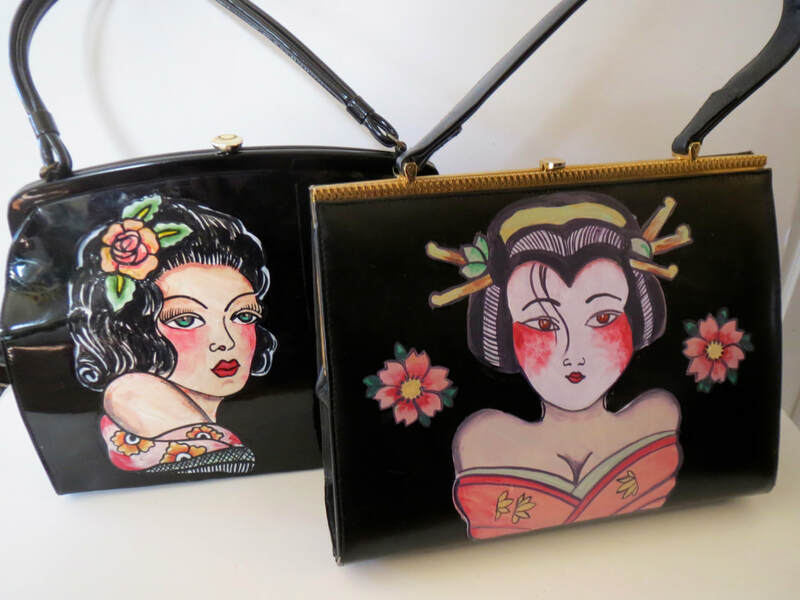 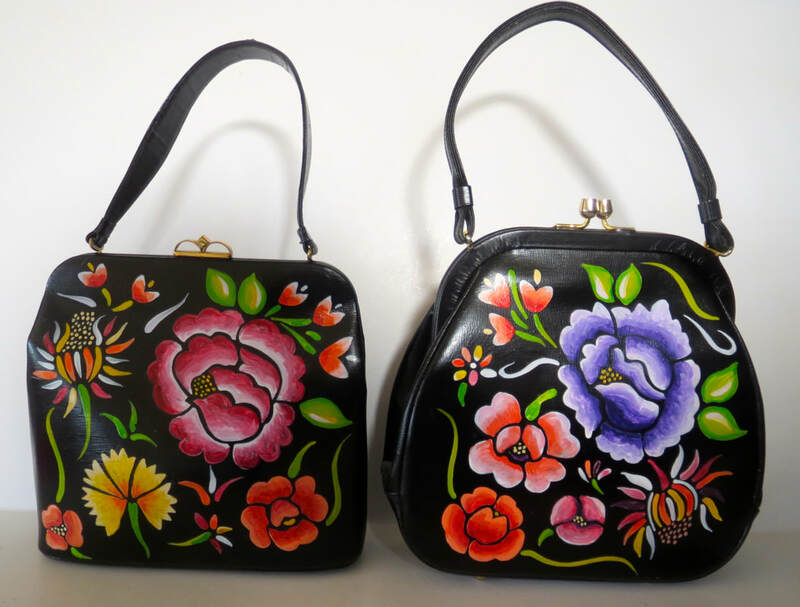 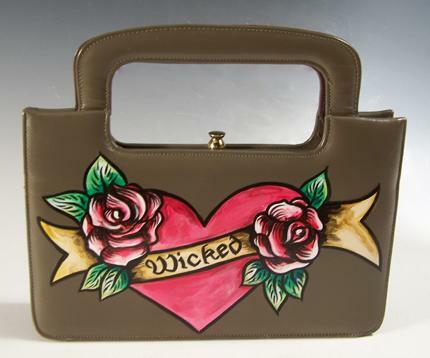 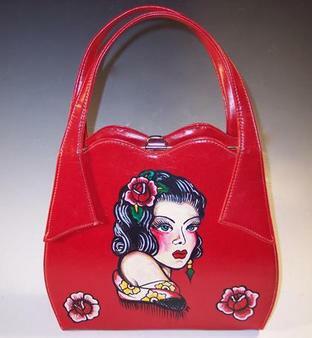 My hand-painted vintage handbags are all one-of-a-kind. 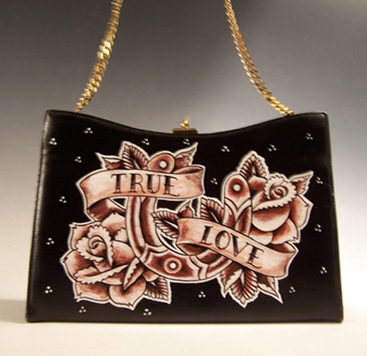 These are some of my past and present pieces that are available for purchase. 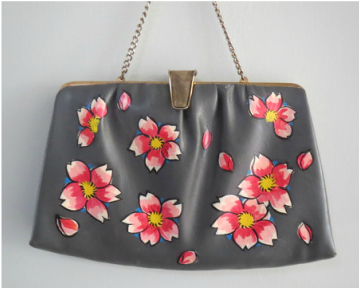 Please contact for an update on available pieces. 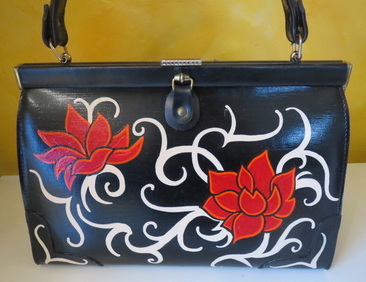 Price range from $40 to $100.